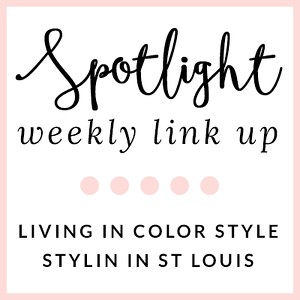 Stylin in St. Louis: Spotlight of the Week: Jacket and Coats….. Spotlight of the Week: Jacket and Coats….. Happy Thursday! This week has seemed to have flown by! I am so glad that the weekend is almost here! 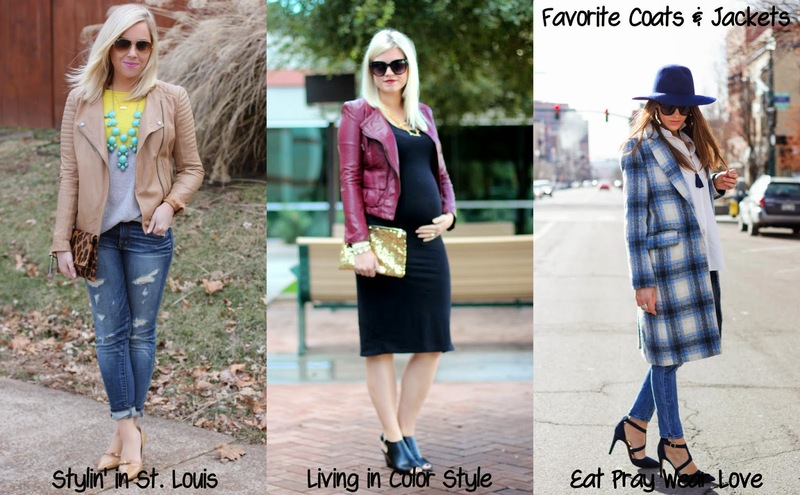 This week, Elle and I styling jackets/coats! I decided on my leather jacket! I got it this past summer at the Nordstrom Sale and it has been one of my favorites ever since! Come share your coats and jackets with Elle and I! 1. 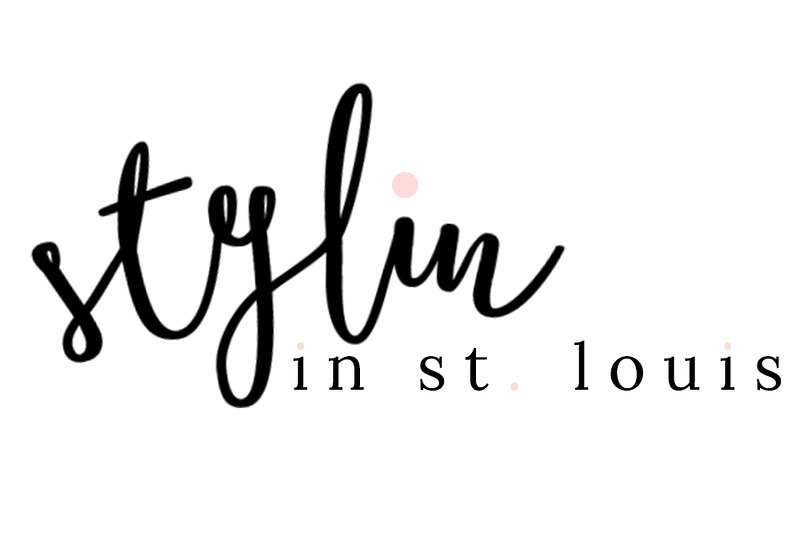 We kindly ask that you follow the two hosts: Elle from Living in Color Style and Jacqueline from Stylin' In St. Louis via Bloglovin or GFC and of course our co-host Leah of Eat Pray Wear Love . Spotlight: Our spotlight this week is Chioma of Some Velvet Morning Chioma's Evolution of Style! 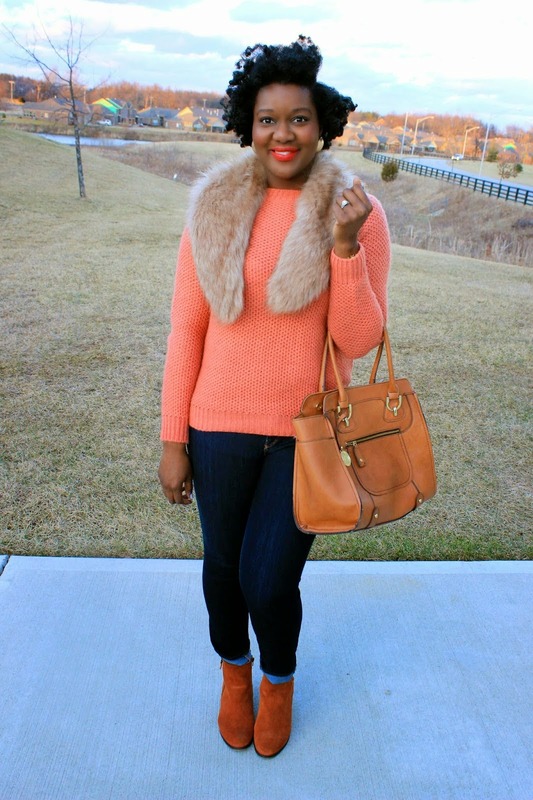 Chimoa's coral sweater is the perfect pop of color and looks so cozy with her faux fur! She has great sense of style! Be sure to check out her cute blog! Next week: Next week our spotlight weekly theme is red/white/pink! Thanks for linking up! See you next week! Love this jacket, the color is fantastic. That jacket is the jam, girlfriend. I love the biker style but lighter neutral- so pretty and versatile! Great leather jacket and leopard clutch! Love Chioma's style too! Everyone is invited for FUN FASHION FRIDAY link up, always start Thursday evening at 5 PST! Your jacket is such a great color on you! Love the jacket! I have been on the hunt for an affordable leather moto jacket for what feels like years! Love how you look so fresh & colorful under all the layers!!! Love your moto jacket and the colors of this outfit. Super cute look! Love the colors and that pop of leopard! I am in love with our jacket and shoes! Great outfit!!! The neutral moto jacket is amazing! Love the contrast with the color blocking sweater and the pop of leopard. Great look! Loving that leather coat and all of the fun colors in this outfit! Love that jacket! Such a classic! Great break away from the traditional black moto jacket! Love your necklace as well! love this look! I'm tgotally inspired. thanks for hosting! great look, love the combo! Every time you wear that camel colored jacket, I want it! I didn't know it was from Nordstrom. I also love that pop of yellow on your sweater!